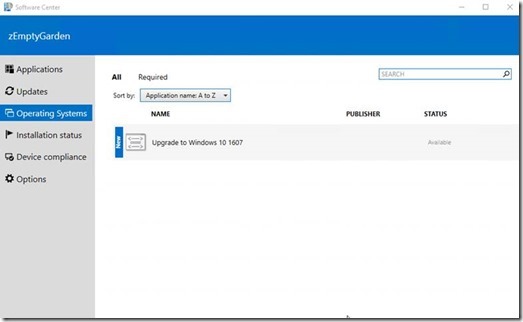 Windows as a service was introduced with the release of Windows 10. It seems that every time a product is released ‘as a service’ people get excited. Disaster Recovery as a service. Beer as a service. But what does it mean? There are a few concepts that we need to learn regarding Windows as a service. 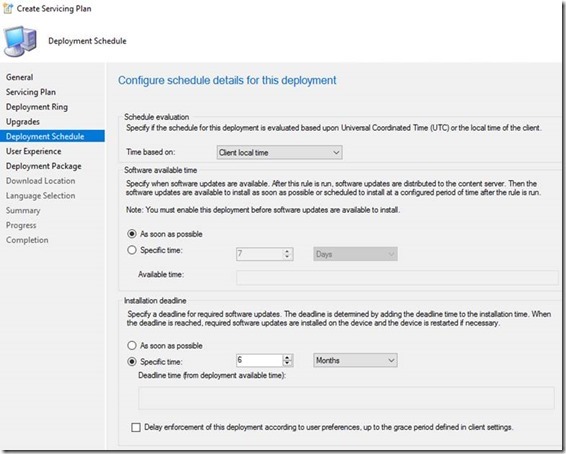 Feature Updates – These are released twice per year around March and September to coincide with Office and ConfigMgr releases. For example: Windows 10 1511, 1607, 1703. These add new features to the operating system. In the past we would have to wait for a service pack or an entirely new operating system to be delivered to meet the business needs. 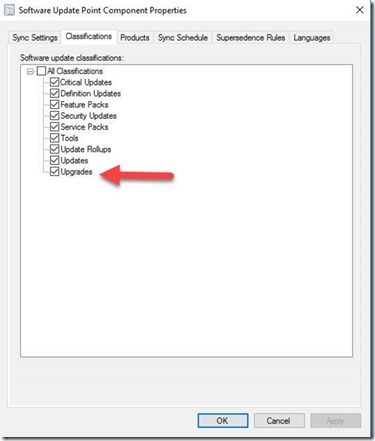 Quality Updates – These are released at least monthly and are cumulative. When people ask me if they need to apply last month’s cumulative update before this months I tell them to look up the word cumulative! As the name implies, these updates grow bigger each month. The updates include both security fixes and non-security fixes. 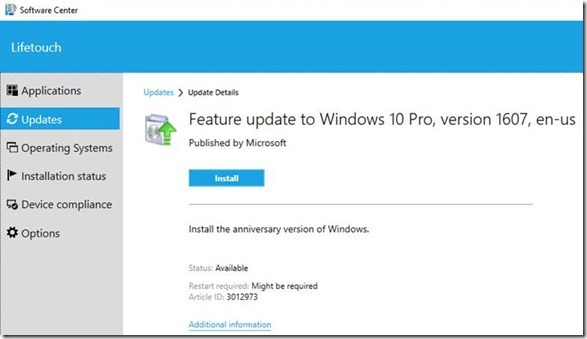 (Note: If you have Windows 10 1607 CU April 2017 or Windows 1703 you can deliver what are called express updates. These are just the differentials from the last cumulative update. 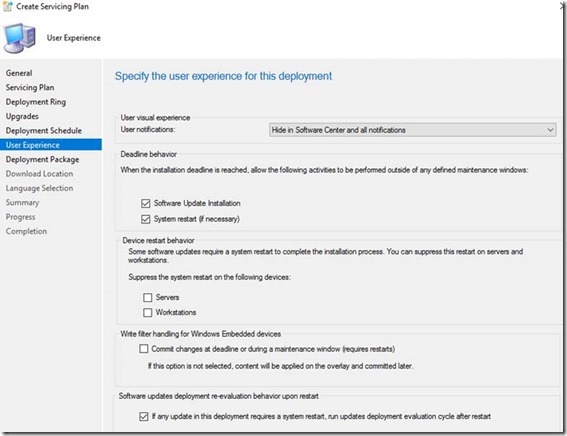 Insider Preview – These are builds that are not production ready. They give systems administrators a chance to preview and test in their environment. 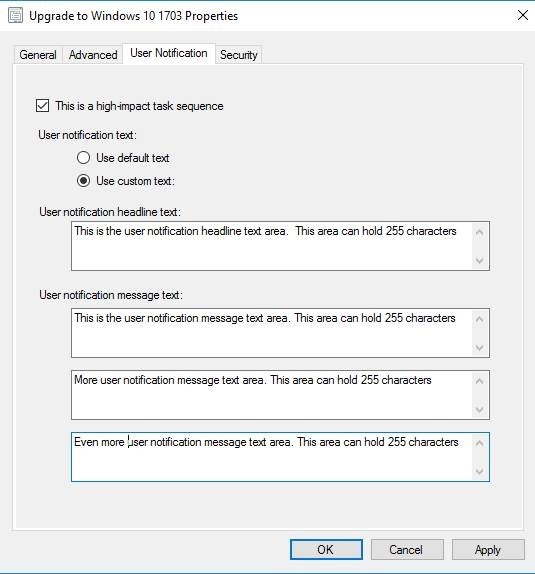 You should have a small subset of your computers in the preview ring, and if you can get a small group of users outside of IT to join the fun on a secondary PC, it would be helpful. 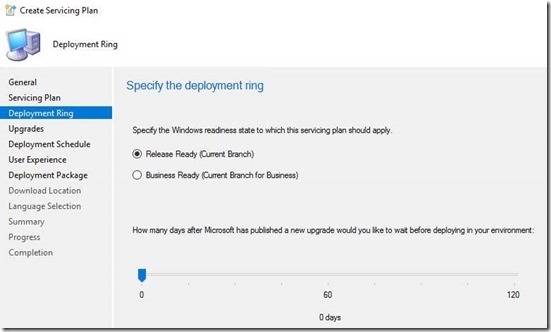 Service Branches – These allow organizations to choose when to deploy the newest features of the newest build. The newest build will be called CB or Current Branch. You might want to deploy this build to your testing area and your IT Department and a few candidates from other business units on secondary machines. Next is CBB or Current Branch for Business. A CB build will turn into CBB after four months. For example: Windows 1703 is the CB as of March 2017. Around July of 2017 Windows 1703 will be CBB. Basically CB + 4months = CBB. Then there is LTSB – Long Term Service Branch. This is used to provide support for critical machines that can’t upgrade to CB or CBB anytime soon. After four months of Current Branch it is then declared as CBB. · 1507 went through insider preview and entered CB in July 2015. · 1607 CB was ready for CBB in November 0f 2016. That starts the countdown for 1507 60 day grace period. But wait…there’s more! 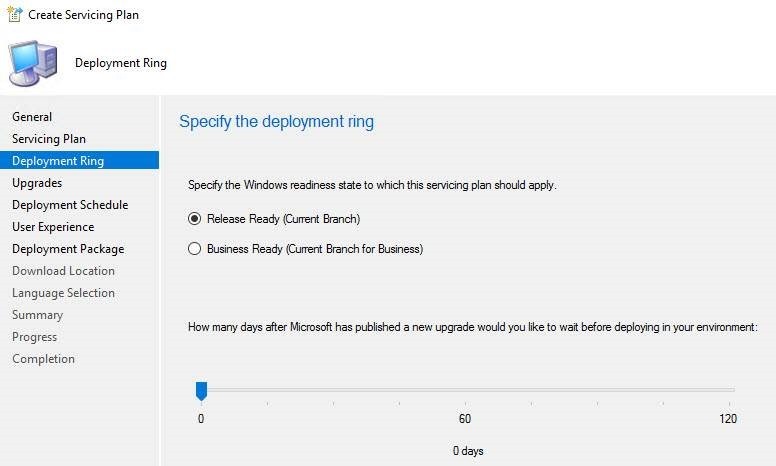 Microsoft is changing the name from Current Branch to Semi-Annual Branch. Did you enjoy troubleshooting Windows 7 patches and trying to figure out what patches to install and what patches to not install? Most organizations took a selective approach to software updates. 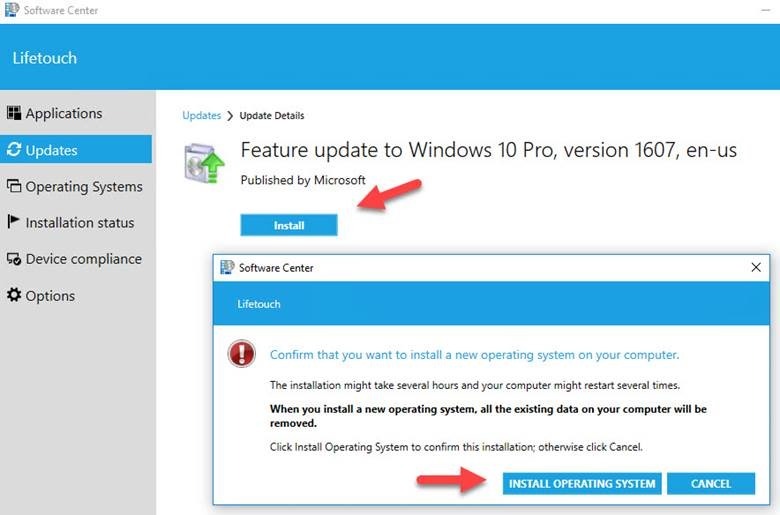 This could result in newer updates not working since Microsoft tests all of their updates on a fully patched machine. Think of disk fragmentation. An optimized disk doesn’t have any fragmentation. That would be similar to a fully patched machine. 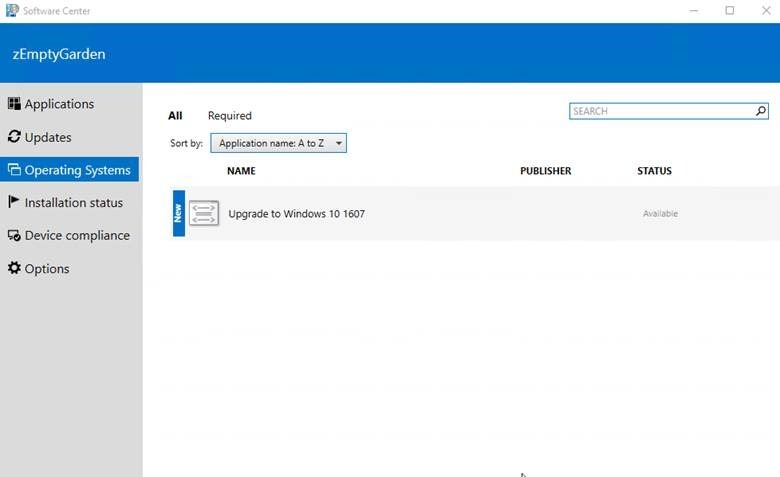 With Windows as a Service Microsoft is ensuring that you can stay up to date with the latest features and security updates while maintaining consistency and reliability. 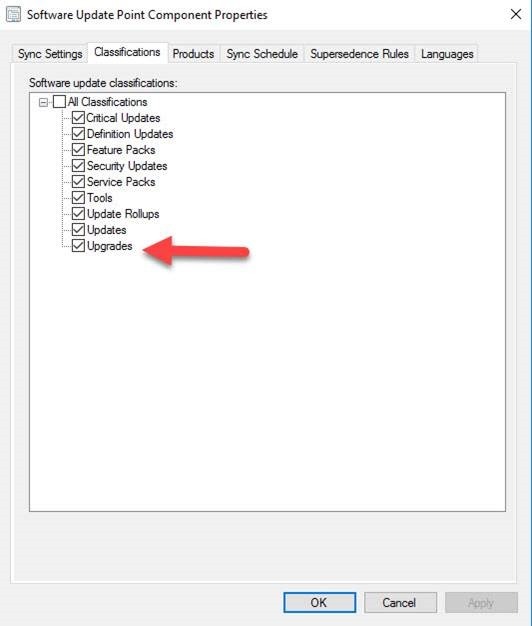 Make sure you have checked ‘Upgrades’ in the Software Update Point Component Properties in SCCM. 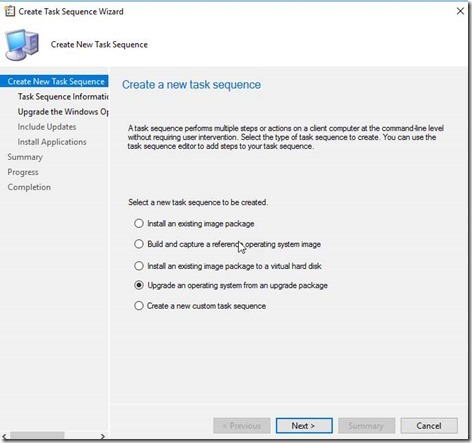 If you are running Server 2012 R2 you will need a hotfix. The hotfix is listed in a prompt when you select Upgrades. 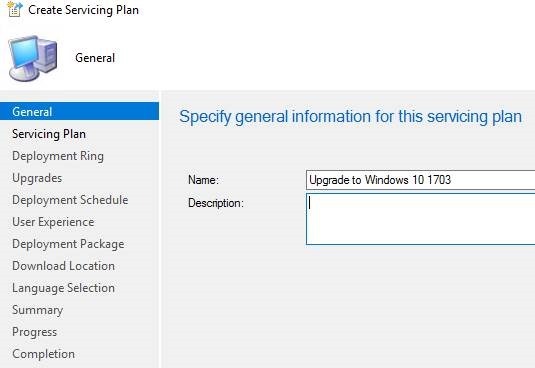 If you’re using Server 2016, you still get this prompt, but you can safely ignore it. If this node is empty you will want to start troubleshooting by looking at the Wsyncmgr.log file. Troubleshooting is beyond the scope of this document. 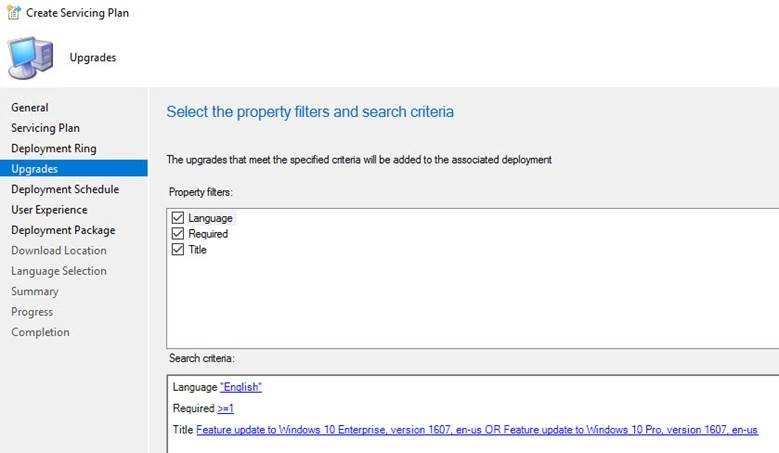 In this document we will be upgrading to the latest Windows 10 branch which is 1703. 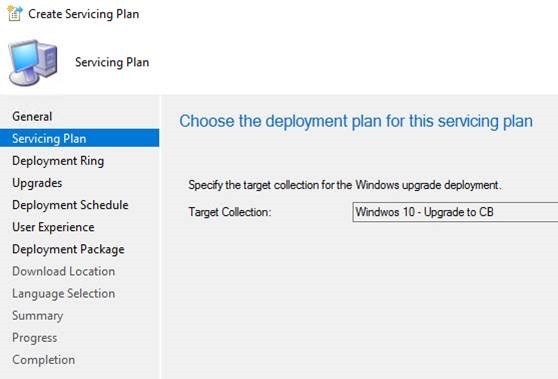 As you can see, these collections can be adjusted for the next Windows 10 branch release quite easily. 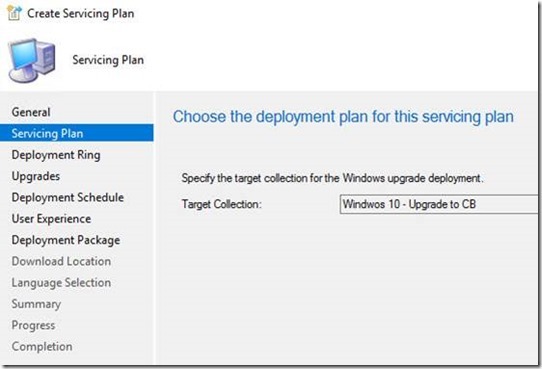 SCCM provides us with two different ways to deploy the latest Windows 10 branch. One is through the Servicing Plans type deployment. 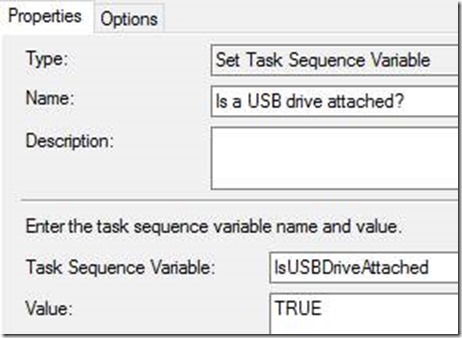 The other is deployment via Task Sequence. We will look at both ways below. 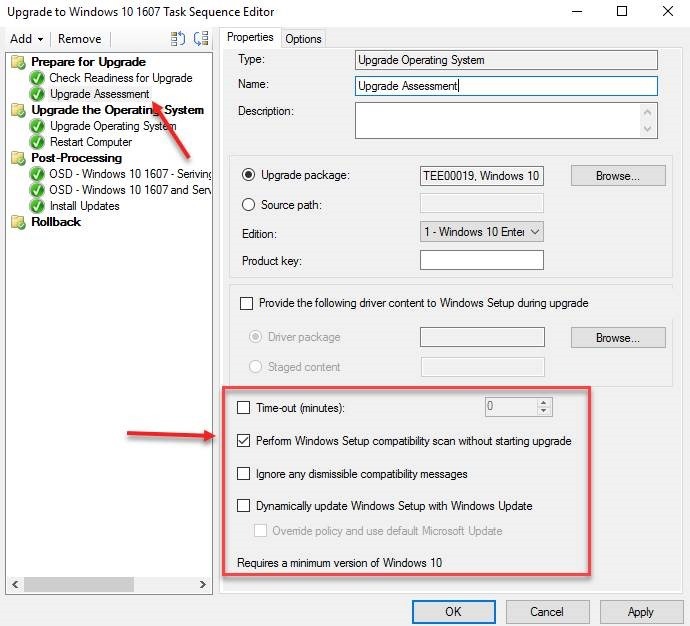 In the SCCM console go to Software Library and expand Windows 10 Servicing. 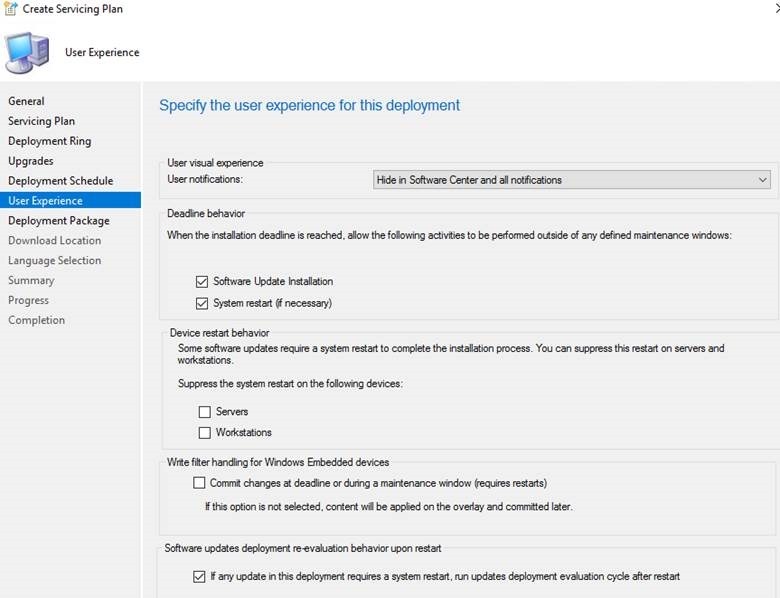 Select the deployment ring that applies to you. 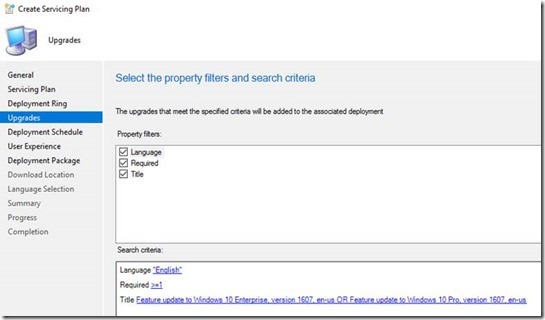 Select the property filters for the deployment. 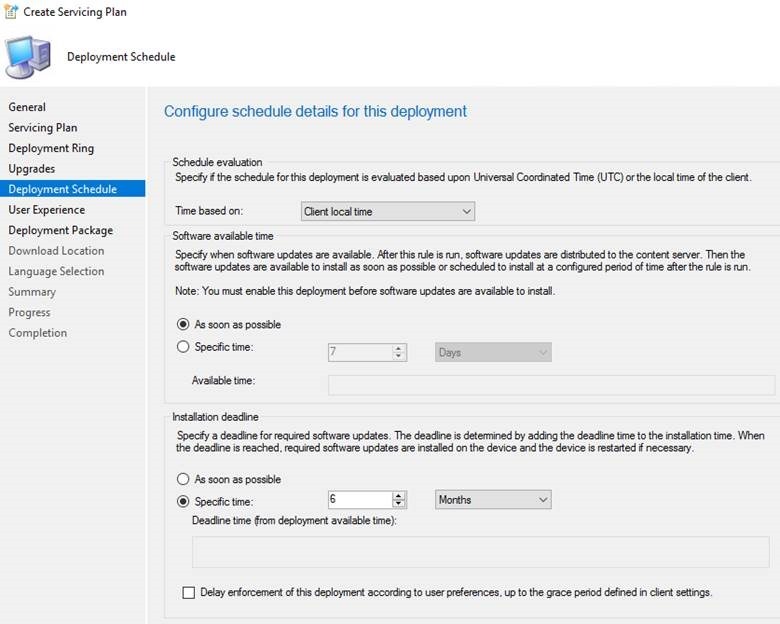 In this example the deployment is made available right away and will become mandatory in six months. Finish creating the plan. During this time the updates will be downloaded. Here used to be the maddening thing about Windows 10 Servicing via ConfigMgr prior to ConfigMgr 1702. 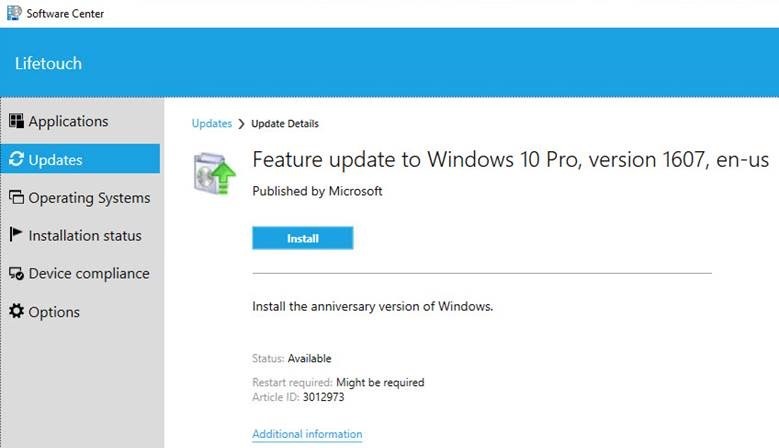 Let’s see what happens if we just select the Feature Update to Windows 10 Pro, version 1607, en-us. When we do this, we are brought to a different screen. Now, let’s select Install…and….oh sweet Jesus….look at that message! 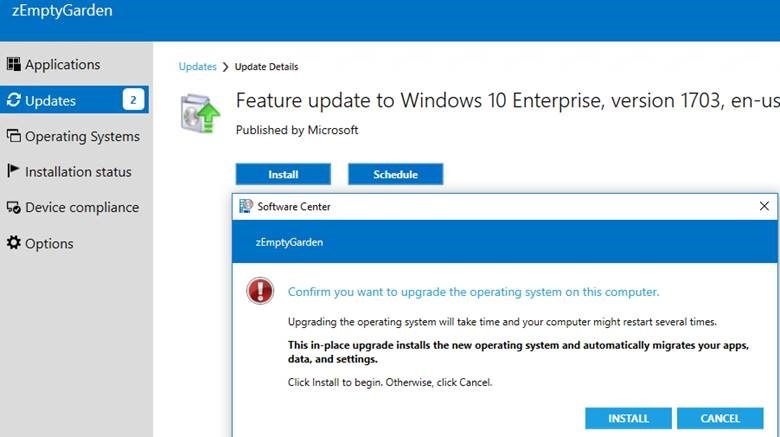 “When you install a new operating system, all the existing data on your computer will be removed.” This is not a very good message for your end users!! Those who read it will panic and hit the cancel button and perhaps call the service desk. The message is incorrect. 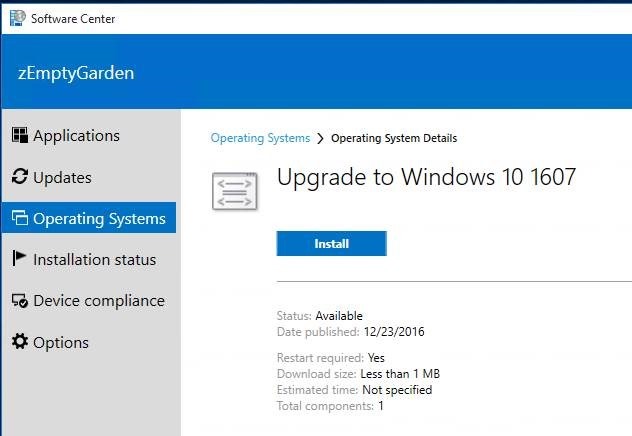 All we are doing is upgrading the operating system and that is all that will happen when “install operating system” is clicked. As of this writing the latest CU is KB4015217. 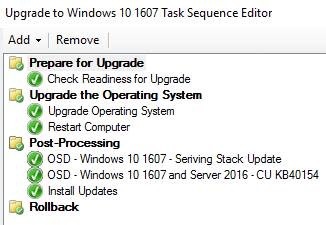 But, for Windows 10 1607 there is a Service Stack update released that needs to be applied first. Be sure to read the requirements for the KB articles! If you look at KB3206632 you will see that there is a prerequisite of KB3199986. I like to put the link to the CU’s into the package comments. Also, I put the KB article under version. 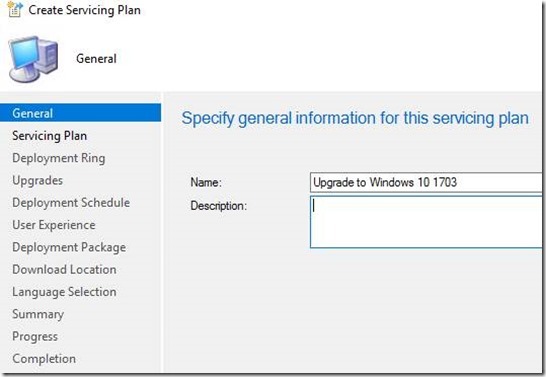 You will need to update this package if another Servicing Stack update comes out. 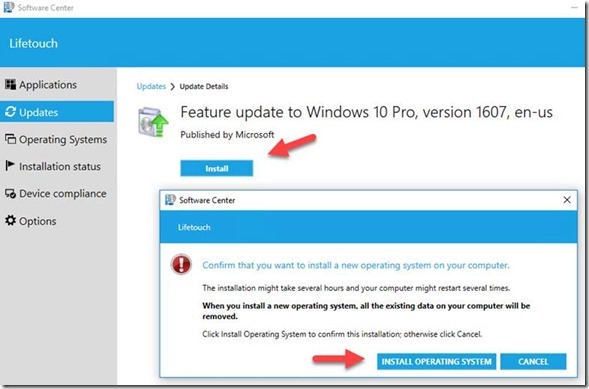 Note: You will need to update the program with the latest CU each time you update the package. Add the Windows 10 Servicing Stack and Cu packages before the Install updates task. Your end users will be prompted that there is new software to install. 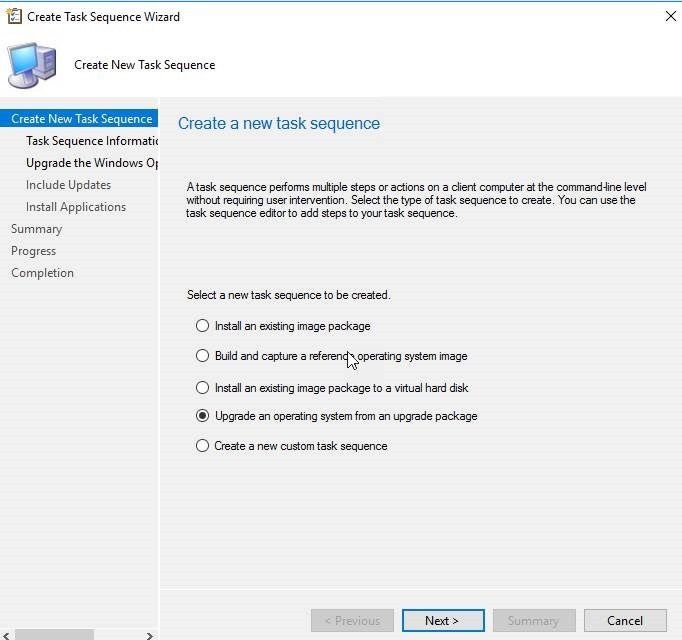 In the Software Center they will select Operating Systems and then select the Task Sequence you just deployed. 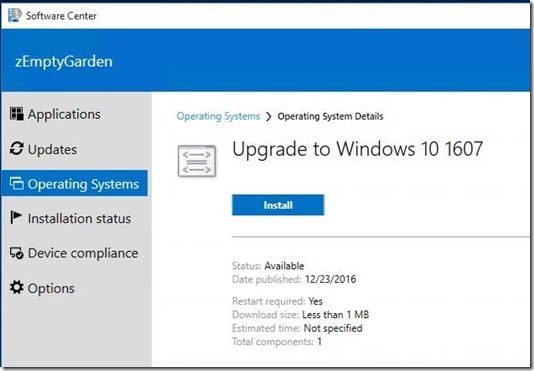 Prior to ConfigMgr 1702 your users will see the following message once they click on install. Again, this wording is completely wrong. The existing data on the machine will remain intact. But, wait….there is more!!! 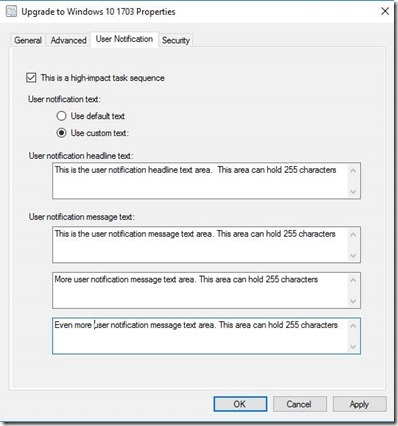 In ConfigMgr 1702 you can customize the message your end users receive during task sequences. 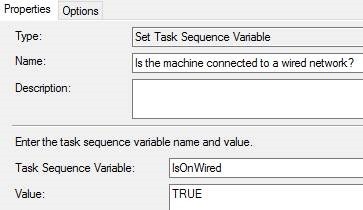 As you can see, Task Sequences offer a lot more flexibility than servicing. There is much more that can be done. 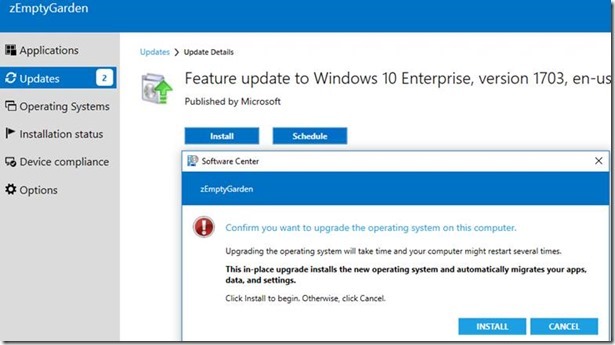 There are several things to check for before upgrading the Operating System. Below are a few, however, in every environment is different. 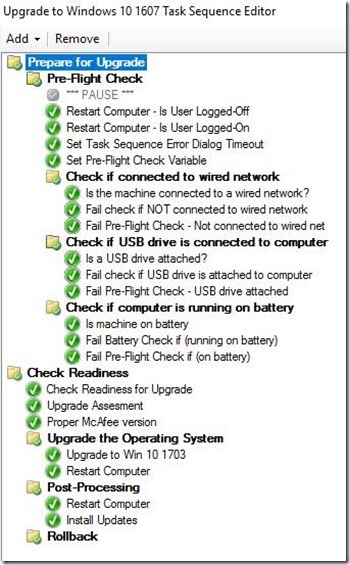 If the task sequence fails, investigate the failure and add a new check in the ‘pre flight’ check group to address the failure. 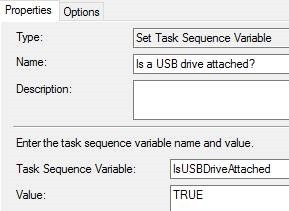 Add a Set Task Sequence variable with the following properties and options. 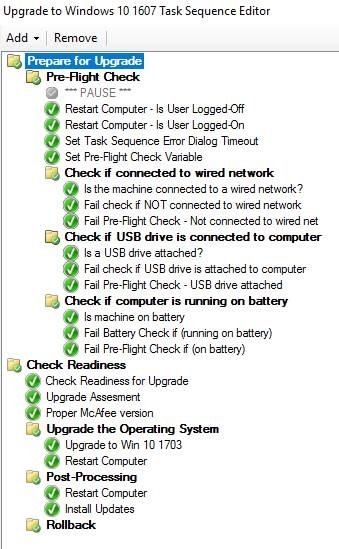 In the Check Readiness or Upgrade the Operating System steps make sure to put a condition that the PreFlightCheck = Passed. Your best bet for success in troubleshooting is understanding both how the process works, and where to look when things go wrong. Here’s a troubleshooter that you can walk through if you’re using the Servicing (non-task sequence) approach. It’s the same as troubleshooting software updates. As you can see, the troubleshooting for Servicing is pretty much the same as for Software Updates. Why setup logs to these locations, details about each step, and reading the logs/error codes are beyond the scope of this session. 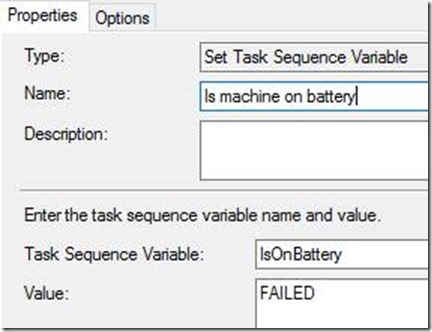 Just know that what you get from task sequence logs may not be enough to determine what went wrong and how to fix it.